Straight from the pages of my book, you will love this recipe for Lavender Sugar. Use as a glaze, sprinkle it on yogurt, enjoy it as a sophisticated sweetener in tea, or make and keep in glass containers for simple, at-the-ready homemade gifts. Sweet, calming and unexpected at the same time – your best friend in a jar. 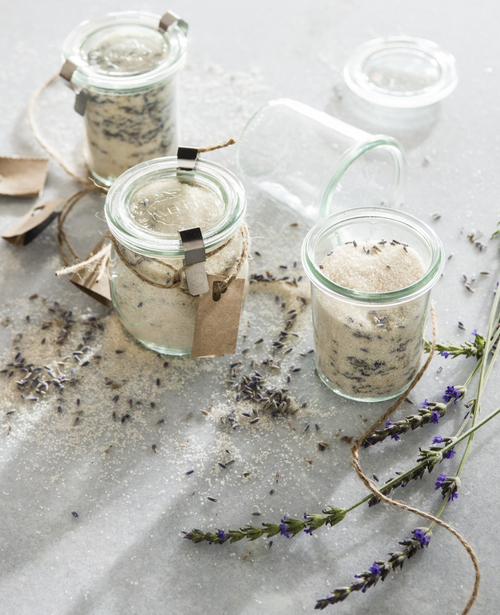 Mix Lavender Flowers and Sugar, jar, and enjoy!